Our Pilgrimage Study Tours combine visits to the important religious sites, with an in-depth look at the status of Christianity in the Holy Land today, and the modern dynamic between the local Christians, their clerics and institutions, and the governments of Israel and the Palestinian Authority. 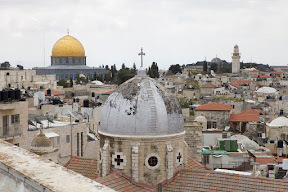 You will explore the roots of Christianity at the source of your faith, and be challenged by the social and political analysis presented by your guide and the Palestinian Christians you'll meet on the journey. You'll also have the opportunity to hold discussions with believers of other faiths, Palestinians and Israelis who are struggling for social and political justice in a difficult environment. The following 7-day itinerary covers the highlights of the country and offers a wide variety of meaningful experiences. You can reserve one of our scheduled tours or book a private tour for yourself, your family or a group. Click here for inquiries about a private tour. 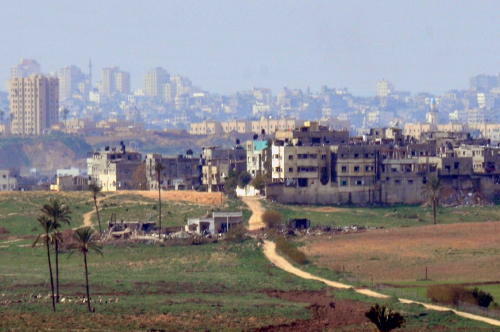 • Discussion of contemporary Nazareth - Owing to its religious status, the residents of Nazareth survived the 1948 war relatively unscathed, and today it is the largest Palestinian town in Israel with a majority Muslim population and overlooked by the huge new Jewish suburb of Upper Nazareth on the hill. • Capernaum - Home of many apostles. Where Jesus preached in the synagogue and conducted miracles. Tabgha - Site of the miracle of the loaves and fishes. • Golan Hights - See the Syrian border, and demolished Druze villages. in 1967 The Israeli military expelled over 80,000 Druze villagers and farmers. The ruins of their homes can still be seen. • Caesaria - Built by King Herod and seat of power of the Roman province of Judea at the time of Jesus. See the modern private community of Caesaria, home of Israel's richest and most powerful today. • Lunch in 'Ein Hawd, a former 'unrecognized village'. Meet with Muhammad abu Al Heja, a son of the village who has helped transform it. Visit neigboring artists village of Ein Hod. • Haifa viewpoint and visit to Wadi Nisnas market and neighbourhood. • Bedouin Community - Visit a village and learn about the ongoing displacement of the Bedouin from their lands, where Israel is expanding the settlements. • Jericho - Ascend by cable car to the monastery on the Mount of Temptation where Jesus was tempted by the Devil. • Hisham’s Palace - See the amazing mosaics. • Qumran - Where the Dead Sea Scrolls were discovered by Bedouin. The Dead Sea scrolls comprise of 972 texts from the Hebrew Bible and extra-biblical documents, written in Hebrew, Aramaic and Greek. Some of the writings are the oldest known surviving copies of Biblical texts. • Dead Sea - Float is the heavy salt waters at the lowest point on earth. • Church of Nativity where Jesus was born. • Old City with it's markets, spice shops, and olive wood nativity scenes. Shepherd's Field where the Angel of the Lord visited the shepherds and informed them of Jesus' birth. Mar Saba Considered to be one of the oldest inhabited monasteries in the world. Spectacular views of the Judean Desert. • Aida refugee camp Visit the descendents of the Palestinian refugees of 1948. Have a discussion with one of the Youth Leaders there. 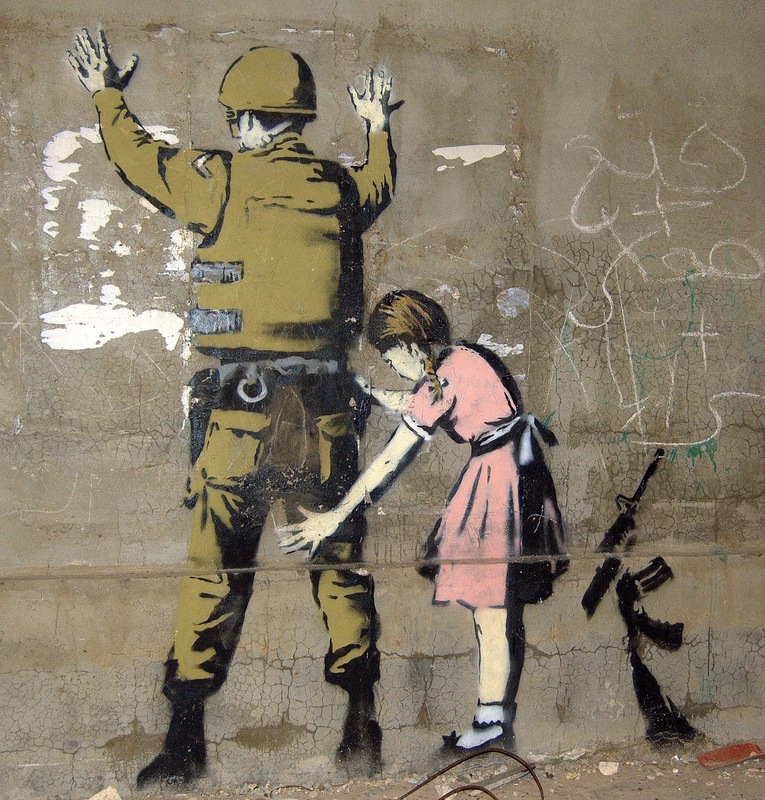 • Separation Wall Walk the 8-meter high Wall which divides Bethlehem from Jerusalem. Palestinians need permits to enter Jerusalem and few are granted. • Visit local Christian organization or Peace Group. • Old City - All Christian, Jewish and Muslim Quarters. • Via Dolorosa - Walk part of the route that tradition holds is where Jesus carried the cross to Calvary. • Room of the Last Supper - The Eucharist is said to have been instituted by Christ at the Last Supper. In Matthew 26:26-29, Mark 14:22-25, Luke 22:19-20 Jesus takes bread, breaks it and gives it to the disciples, saying: "This is my body which is given for you"
• Western Wall - Where Jews have prayed for millennia. • Church of the Holy Sepulcher - The site is said to be the hill of Calvary, and contains teh cave (the sepulcher) where Jesus was buried and rose again. • Mount of Olives - Magnificent view of the Old City. • Bethphage - Where Jesus sent the disciples to find a donkey upon which he could enter Jerusalem. • Garden of Gethsemane - At the foot of the Mount of Olive where, according to the Bible, Jesus and his disciples are said to have prayed the night before Jesus' crucifixion. 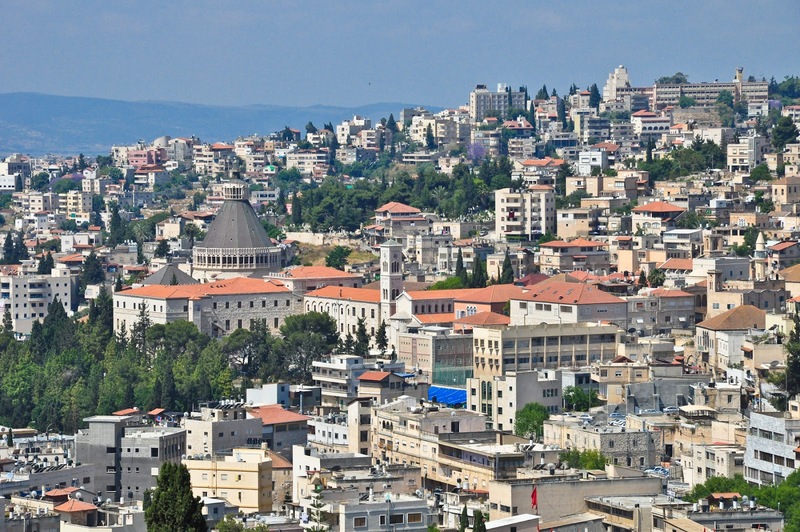 • Jewish and Palestinian neighborhoods - Learn about the conflict over modern Jerusalem. • Festive Dinner with a Jerusalem family.